There are many ways to escape stress. Some take the form of defense mechanisms. 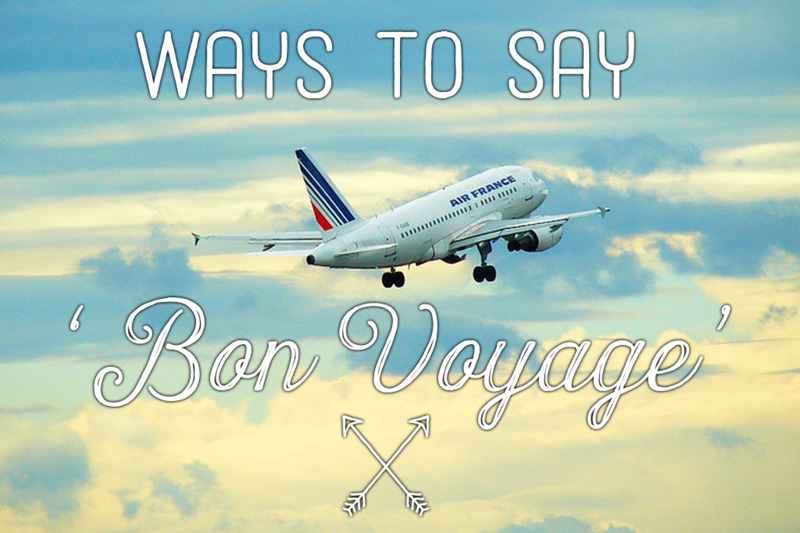 Others use sports, hobbies, travel, reading, movies and a host of other activities for short-term release. However, some can be emotionally harmful, bringing damage and distortion to our relationships. 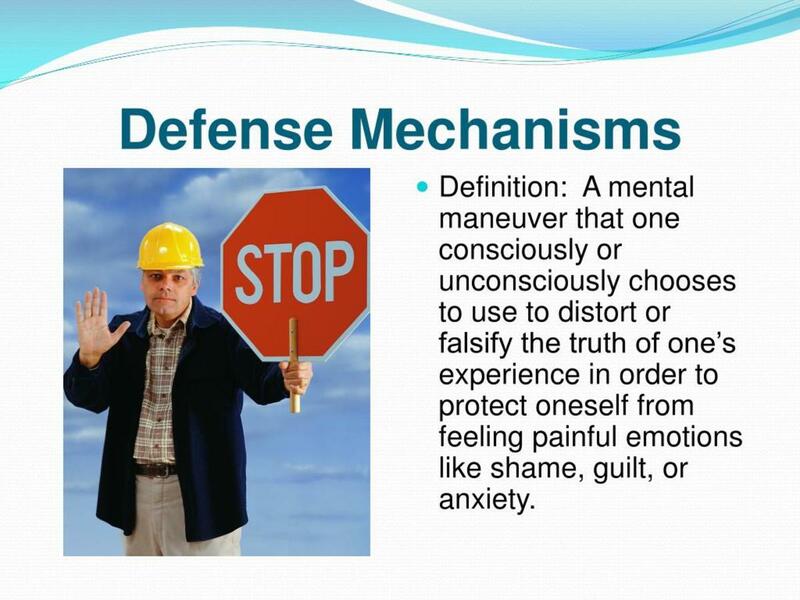 These are referred to as defense mechanisms. 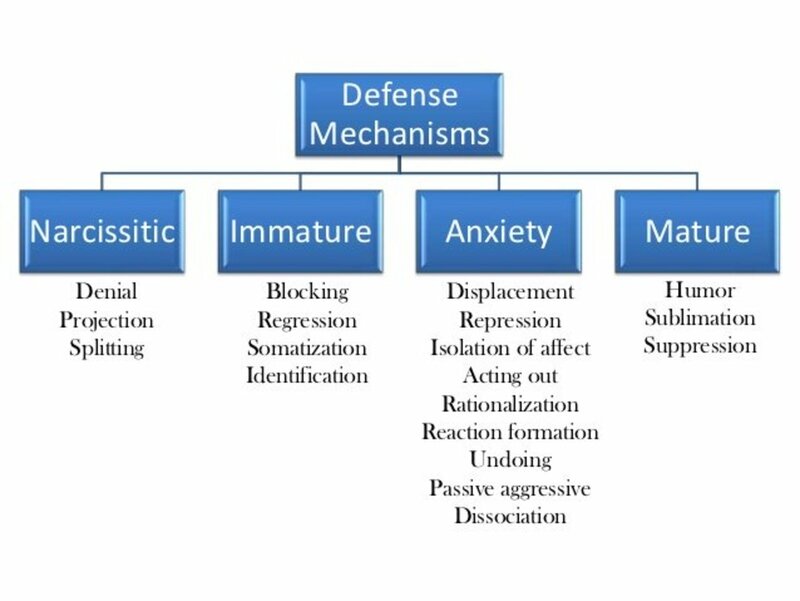 Defense mechanisms apply to a wide range of reactions from anxiety to insecurity. 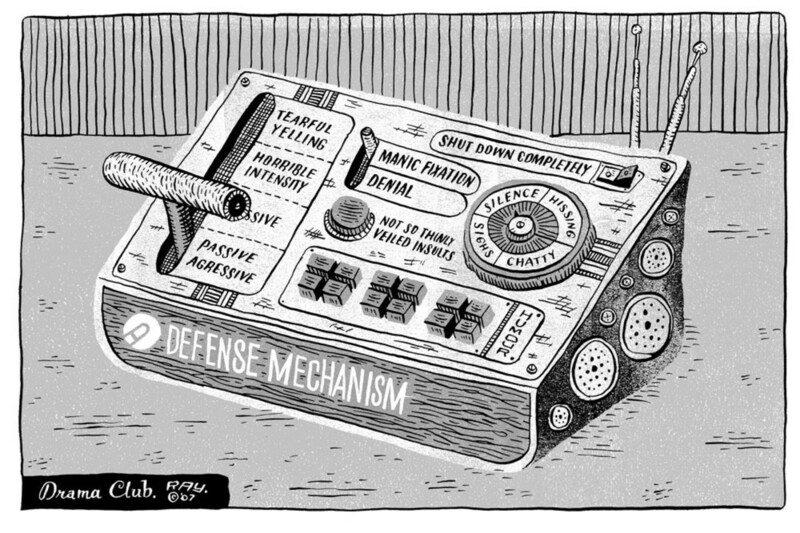 Some defense mechanisms are actually protective systems. Frequently, conflicts resolve themselves quickly, but not always. Fortunately, our body has mechanisms to defend itself from unpleasant feelings, memories and anxiety. In many cases defense mechanisms eventually settle into a state of long-term self deception. This results in anxiety and a host of other emotional disorders. Our goal is to live realistically and know what they are. Rationalization is creating false reasons to hide our unacceptable behavior. An example would be, stealing from a wealthy person and feeling no remorse, because the loss would be inconsequential. It has been closely linked with denial. Rather than facing rejection or blame, they simply revise their point of view. Identification is a way of bolstering self-esteem by forming an imaginary or real connection with a person or group. Joining a sports team, or fraternity are some examples. Displacement is diverting emotional feelings, such as anger, to another target. For example, a father gets angry and takes his hostilities out on the mother. Like a domino effect. The mother argues with her son, who then yells at his younger sister. Another example could be a boxer punching a bag. Projection is transferring thoughts, feelings, or motives onto another. An example would be someone blaming others for being hostile and antagonistic. Projection is often used to ease guilt feelings. It allows them feel like the good guy. It's not them but others causing the problems. It's common to project anger, jealousy, pride and other perfectionist traits onto others. This involves classifying problems in extreme terms. It occurs when conflicting emotions are transformed into productive outlets. In a nut shell, defense mechanisms are common ways to cope with unpleasant emotions. 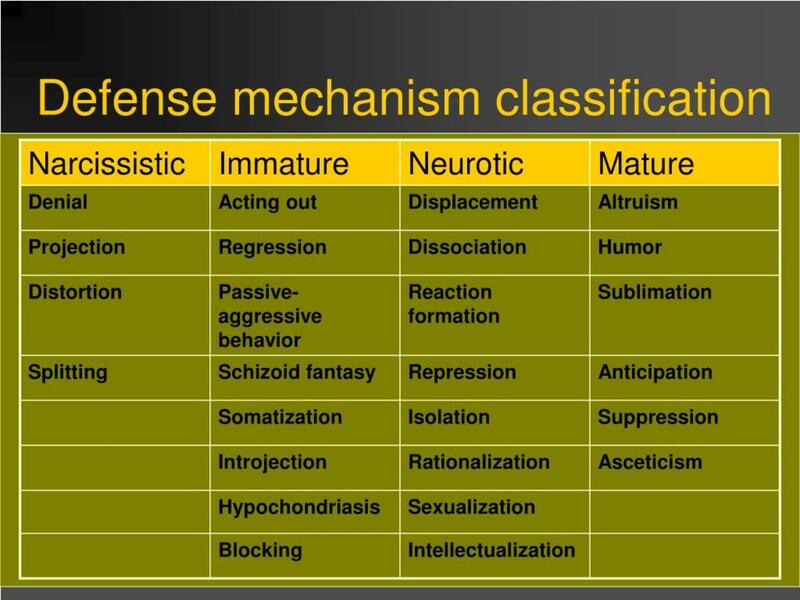 Most researchers agree, mature defense mechanisms include intellectualizing, sublimation, and rationalization. Regression is reverting to immature behavior. An example might be a teen throwing a temper tantrum or returning to an earlier stage of emotional immaturity where they feel secure. This is often seen in children where trauma is experienced, such as bringing a new baby into the home. The child fears they will be replaced. They may revert to child like behavior to receive more attention. Reaction formation is behaving the opposite of how one truly feels. Some using using this strategy aggressively projects the opposite image of what they really feel. It not only involves a lie told to others but to themselves. Repression is possibly the most peculiar. It's merely burying unpleasant thoughts and emotions. There has been much controversy concerning repression. Accounts of having memories that never happened have occurred. Caution must be taken when dealing with such individuals. Sometimes repression can be temporarily useful. The capability to shut out certain unpleasant thoughts and memories can be valuable. We don't have to deal with them all at once. If we did, it could result in a host of other problems, such as depression. Many emotions, and memories are warehoused in the unconscious. An example would be when a alcoholics convince themselves they don't have a problem. Let's look at an example. A woman in her early 30s seems pleasant and friendly. No one would believe she is actually unhappy. 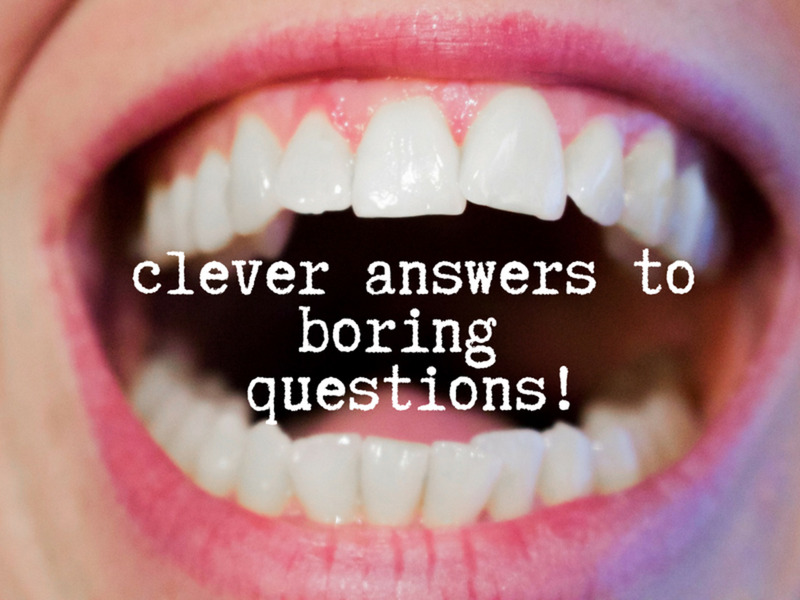 However, when questioned, she becomes evasive, shifting the conversation to other topics. She proclaims she came from a good home and had a nice childhood and believes she is telling the truth. However, her family tells a different story. 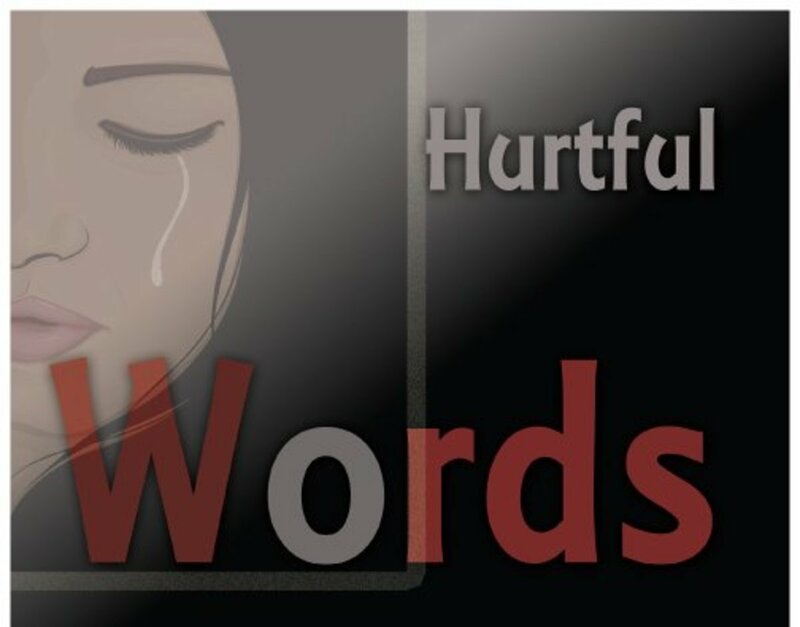 Her father was physically abusive. She dealt with this problem by acting friendly and pretending negative issues were unimportant. This pattern can easily follow someone into adulthood. Eventually, it became clear professional counseling for anxiety was required. She wasn't aware the cause of her anxiety stemmed from her childhood. During counseling she was able to realize the cause. When a breakthrough finally came, painful memories resurfaced. Although unpleasant, it was cleansing and liberating. This is avoidance of uncomfortable issues or emotions. Those using suppression tend to be more in touch with their inner conflict than those using repression. Generally, people who practice suppression have excuses at the ready for why now isn't a good time to do something. This is also occasionally called emotional procrastination. This is an average reaction with those suffering from low self-esteem. It's a means to avoid awareness of inferiority and other internal conflicts. This is done by using higher levels of intellectual vocabulary, thinking, and discussion. Those engaging in such philosophical and academic discussions have a tendency to look down on those they feel less intellectual. Individuals suffering from low self-esteem fight tirelessly trying to impress and convince others of their importance. For example, surrounding themselves with the socially elite, expensive works of art, or contributing generously to community organizations. These activities seem positive, but are motivated by an effort to to hide the truth. Difficulty making friends is sometimes a problem for fear being afraid some hidden truth might be discovered. Defense mechanisms seem easier to diagnose in others. It's unmistakable when the truth is being denied. Shifting blame or rationalizing negative actions is evident. We can say were searching for the truth about ourselves, but have difficulty being honest about it. Sometimes we need professional help to discover what defense mechanisms are in play.